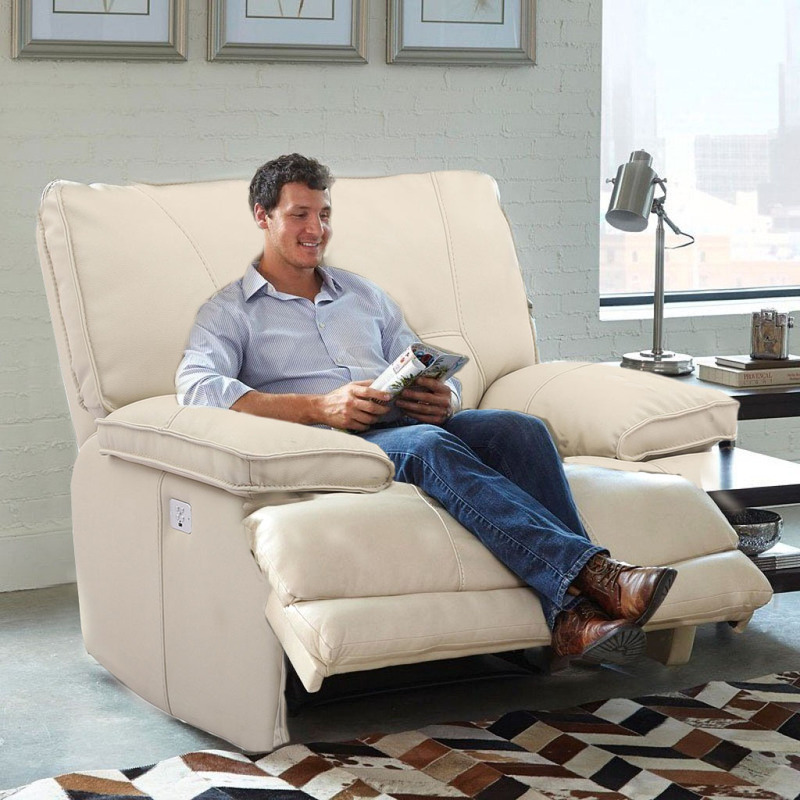 The Larkin 2 Recliner offers fully modular classy casual design with lumbar support as well as power headrests on power pieces, USB ports, ad Home Button in switch. The Home Button returns recliner headrest and footrest to close position with just one touch. This collection is upholstered in Microfiber cloth in beautiful Buff color. Features. 2.0 density foam gives superior, soft seating.